M* Money Madam : RMD - Table III How long will your stash Last? RMD - Table III How long will your stash Last? I recently wrote an article about distributing IRA funds in accordance with the required minimal distributions imposed by the IRS. I used the example of a person who inherited an IRA worth $1,000,000 and had to distribute income using the IRS Table I or single life table. This table does not apply to the ordinary investor. Most investors are more likely to be worrying about their own IRA and required minimum distributions (RMD) than an inherited IRA where they are the only beneficiary. 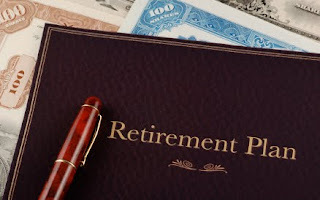 The IRS uses two tables to calculate typical IRA distributions. Table II is for an owner of an IRA whose spouse is more than 10 years younger. Table III is for IRS owners who are married. In this post I will use Table III for all calculations. I am assuming 2016 is the year of the first distribution. It is extremely important to determine which table applies to you because failure to distribute at least the minimal amount required comes with big penalties. You may take out all you want once you turn 59.5 years. All distributions are taxed as ordinary income no matter when you take them 59.5 or 70.5 or 90 and a half. Let's look at several options. Some people fund their lifestyle with income from pensions or savings and do not need their IRA distributions to maintain their lifestyle. These folks do not particularly want to save the distributions for their heirs or planned gifts. They are also not the kind of investor who intend to deplete the IRA before they die. These folks just want to receive their RMD, pay taxes on it and if there is some left in 20 years that is o.k. If you tap your IRA’s and spend the RMD, in other words you simply withdraw the amount you are required to withdraw without consideration of portfolio income or portfolio growth, what will happen to the portfolio. Will you deplete it in 20 years? I am using a starting value of $1,000,000. This table and all tables in this post use Table III the uniform joint life expectancy table provided by the IRS in pamphlet 590 see link. Each year you get older you must take out a larger percentage of your IRA assets. You can take out cash or you can move a security out of the account. You must pay tax on the distribution no matter whether you distribute cash or a security. As you can see from this table, it is highly unlikely you will run out of money in the next 20 years. Your total income over the next 20 years will be $717,293. Caveat, markets could tank and portfolio values vary so much that these calculations are totally wrong. However, I have done this for a long time and these scenarios work out pretty much as predicted when you look out 20 years. Let’s say you do expect to supplement your income with your IRA. You have lived through the real “donut hole” age 65 through 70.5, you have $1,000,000 in your IRA and you are looking forward to having income from your IRA for the next 20 years. Some people distribute money from their IRA before they are required. This post does not deal with that scenario. Whether you start early or when required, this analysis uses the starting value of $1,000,000 on December 31 of the year before you turn 70.5 when distributions are required. How many dollars can you withdraw annually and end up with about 0 dollars in 20 years. See the table below. Without adding in investment growth or investment income, you can distribute about $47,500 pretax per year and when you are 90.5 you will have $2,500 left. Your pretax income will be about $1,000,000 over 20 years. That was the point; take it all out. You will have to pay tax on your distribution. Using a 25% tax bracket, your net income per year would be about $35,625 nearly $3,000 per month. In this scenario, we have someone who is counting on their IRA to fund their expenses. Now we have two metrics to consider one is the IRA distribution and the second is expenses. Let’s start with expenses. Your expenses will basically double in 20 years no matter how you measure it. I have seen it over and over again and I have experienced it myself. While I would not count on government figures like CPI, you can use 3% as an average inflation rate which means your expenses will nearly double in 20 years. At 90 you will not experience a reduction of expenses. Medical and household care will eat up any reductions you conceive of as a result of aging. Next, what do you expect your IRA principle to be in 20 years. Are you willing to draw down some, all, none? Only you can make that determination. I explore a few ideas. If you expect about $3,000 per month in 2016 to supplement your income today, in 20 years you will need $6,000 per month to fund the same expenses. (Remember that in real life you have to pay tax on your distribution so $3,000 at ordinary income rates of 25% will net you $2,250 per month. How long will your stash last when you start with a distribution of about $36,000? This table shows the effect of inflation. It is hard to create double your income in 20 years with no income or growth of your portfolio. In fact, you will just make it 19 years.. You can see why we call this investor a "sinking fund" investor. This scenario is not typical. You should make money on your portfolio and that can make a big difference. Let's look at a couple more scenarios. Three Percent Total Return and Distribute only your RMD in 2016. If inflation increases on average 3% per year, let’s see what happens to this IRA if it creates a 3% total return per year. With a three percent return, you will be able to take your minimal distribution in 2016 and increase over time to almost double in 2036 without running out of money. (Three percent is not a perfect double in 20 years.) In fact you should have about half of your original portfolio intact in 20 years. What if you want $4,000 per month pre tax from your IRA. Moreover, you expect that $4,000 per month to double in 20 years. Let's see what happens. Under these conditions, you will have enough money to double your income in 20 years without running out of money but it is close. At the end of 20 years you will have only 12.6% of portfolio left. The last table presents a cheery analysis. I am using a 7% total return as that is the average stock market return over time. Portfolio values are adjusted for the required RMD. If you save some or all of the distribution good for you. This table shows the portfolio value at the end of 20 years with a 7% return and distributions equal to the required amount. Nirvana: not only will your income from RMD's double it will double twice and your principle will increase by 27.4 %. Look back at your most recent 20 years of investing and see if your think you can duplicate a 7% return on assets adjusted for the RMD. There are an unlimited number of scenarios to consider. Only you can determine which scenario is best for you. Twenty years is a long time and yet when you are 70.5, you know how quickly those years pass. The analyses presented above show how your IRA investment might fare using a few typical scenarios. Caveat, as a retired investment advisor, when it comes to investments, I can tell you, few real life stories are typical.